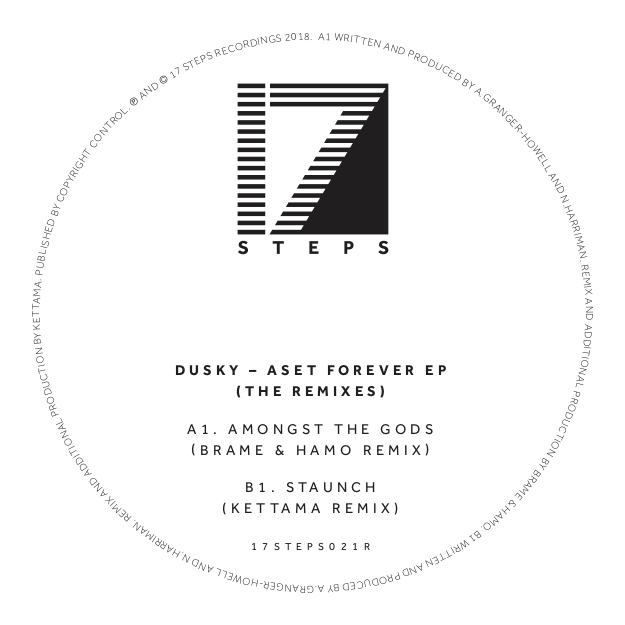 Following the release of the ‘Aset Forever’ EP in September, Dusky announce Brame & Hamo and KETTAMA as remixers of EP tracks ‘Amongst The Gods’ and ‘Staunch’. On the ‘Amongst The Gods’ remix, Irish born, Berlin based duo Brame & Hamo bring distorted kicks and industrial percussion that are sprinkled with euphoric samples from the original, helping to provide an unequivocally rave ready flip. Fellow Irishman, and rising star, KETTAMA takes the reigns on ‘Staunch’, turning the dark and brooding original into a thumping hard house epic punctuated with zapping synths and hefty percussion.